Imagine your health as a house you’re building, with oral health as the ideal place to start from the ground up. While the mouth isn’t the first region of the body most of us would consider, it belongs in one of the top spots. Devin Giron, DDS educates patients on the oral-systemic link, a common-sense treatment approach that has revolutionized dental care by focusing on the link between oral and overall wellness. Oral hygiene is the very first building block when you begin to construct your dental health foundation. At-home oral hygiene is the first swing of the hammer, with a consistent routine that includes brushing at least twice a day and flossing at least once. The next component for practicing good oral hygiene is twice-yearly professional cleanings and checkups. With regular visits to Dr. Giron, potential problems can be diagnosed and treated before they develop into more serious issues down the road. Regular oral hygiene is your not-so-secret weapon in the fight against tooth decay and gum disease—and professional cleanings enhance your efforts. Your manual toothbrush or electric toothbrush head should be replaced every three months. Keeping fresh toothbrushes and floss is a much wiser investment than extensive treatment later! Why is gum disease prevention so essential? Well, for starters, healthy gums increase the likelihood of keeping your natural teeth. 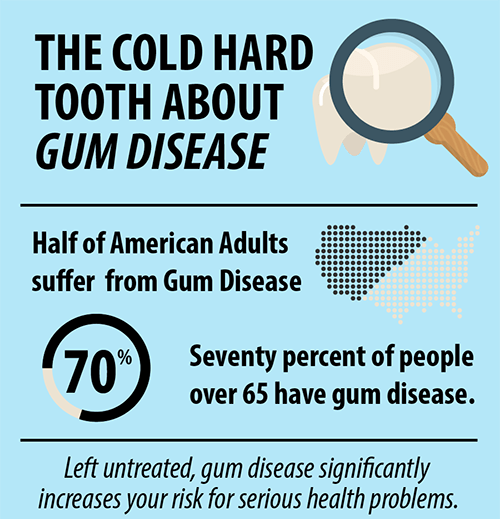 Dr. Giron will take every reasonable measure to preserve and retain your original teeth (which is what restorative dentistry is all about), but there’s a lot more to fighting gum disease than that. Many people don’t realize bad bacteria from chronic gum disease can enter the bloodstream and contribute to the potential development of more than 50 systemic medical conditions, including diabetes, stroke, and cardiovascular disease. If your gums need some extra TLC, Dr. Giron can perform a scaling and root planing procedure, which is a deep cleaning below the gumline. This deep cleaning can be a useful solution for patients battling chronic gum disease. Strong is the new beautiful—get in touch with us today! 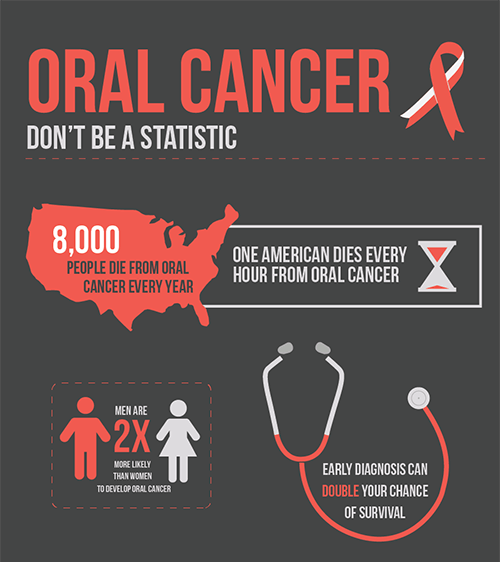 Oral cancer is one of the fastest-growing types of cancer in America. It kills about one person per hour, 24 hours per day in the United States alone. The death rate from oral cancer is particularly high due to lack of early diagnosis, and human papillomavirus (HPV) has become the #1 contributor to development of oral cancer. HPV doesn’t produce obvious visible oral cancer warning signs, which is another reason it can sneak in under the radar. Tobacco and alcohol use are also risk factors, but HPV dominates in terms of oral cancer causes. Early diagnosis of oral cancer—like any other cancer—is the best way to fight against the disease and win. Oral cancer screening is a part of every regular checkup with Dr. Giron. Just as most women have been taught to do monthly breast self-exams as a best practice for monitoring their breast health, self-checks for oral cancer are becoming more common. Click here for more information. The American Dental Association estimates that one-third of all dental injuries are sports-related—and that mouthguard use prevents over 200,000 oral injuries each year. While mouthguards are mandatory in contact sports such as football, hockey, and boxing, sports like basketball, baseball and volleyball do not require mouthguards and result in many injuries. Mouthguards can prevent chipped or broken teeth, fractured crowns or bridgework, lip and cheek injuries, tooth root damage, fractured jaws—and of course, knocked-out teeth. 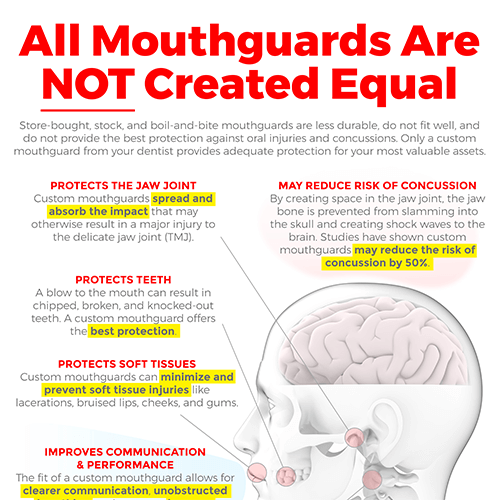 Two million teeth are knocked out during sports activities each year, and some studies have shown that 56% of concussions occur when a mouthguard was NOT worn. Nightguards help prevent excessive wear and damage to the teeth surface caused by clenching and grinding, a condition known as bruxism. A nightguard helps relax the jaws, decreasing bruxism symptoms and shielding jaw joints from developing more serious problems down the road. Wearing a nightguard also reduces gum problems and keeps teeth stronger. The technical term for “nightguard” is “occlusal guard”. The word occlusion—when used as a dentistry term—is defined as “the fitting together of the teeth of the lower jaw with the corresponding teeth of the upper jaw when the jaws are closed”. 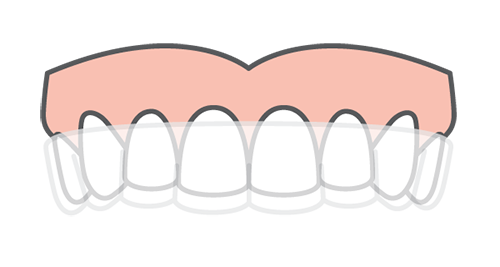 The upper portion of an occlusal guard is called the maxillary guard, while the lower portion is called the mandibular guard. Many patients only need to use the maxillary guard, and once they have “broken them in” (just like shoes), Dr. Giron will recommend use for your specific situation. Even diligent brushers and flossers find cleaning every nook and cranny of the teeth can be a daunting task. Molars (back teeth) have rough surfaces, making them simultaneously effective at chewing and difficult to clean thoroughly because bacteria and food left behind have more places to hide. Dr. Giron offers a solution—dental sealants. Sealants help prevent cavities, but you’ll still have to brush and floss! 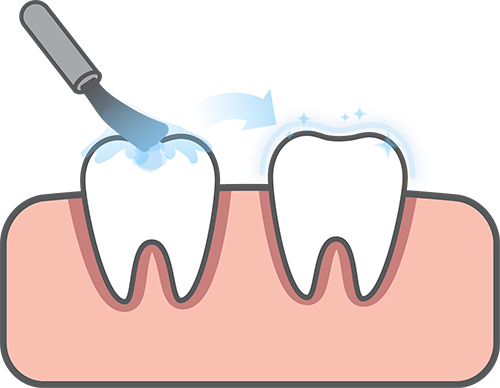 Dental sealants are a thin coating that adheres to the chewing surface of your molars. They have been described as “a raincoat for your teeth”. Sealants help stop cavities before they start and even bring early existing decay to a screeching halt, preventing development of a full-blown cavity. Some studies have revealed that tooth decay risk can be reduced by almost 80% in molars treated with dental sealants. Sealants keep food, cavity-causing bacteria, and the acid that bacteria can form from hiding in uneven surface of your molars. Are you ready for a different kind of dental experience? Get in touch with Dr. Giron today! 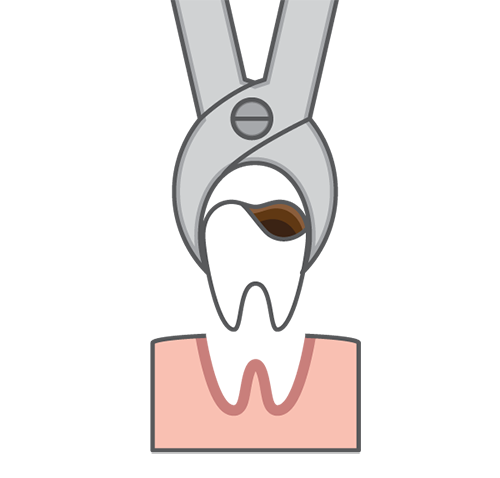 Tooth extraction simply means having a tooth pulled. The most well-known type of tooth extraction is probably removal of the wisdom teeth, which appear in most people between the ages of 17 and 25. There are many other reasons for other teeth to be extracted, though Dr. Giron will take every reasonable measure to save your natural teeth and keep them in your mouth where they belong. Some occasions when teeth extraction can be recommended: overcrowding, preparation for braces, severe infection beyond what a root canal can repair, a tooth so damaged or decayed it cannot be saved by any other procedure, and when gum disease or injury has loosened a tooth. When you’re having a tooth extracted, health history information is particularly important to share with Dr. Giron. Congenital heart defects, cirrhosis of the liver, and a compromised immune system are just some of the conditions that need to be disclosed before your procedure. Ask us for more details! Metal amalgam fillings were the industry standard until the recent past. Though the FDA closely monitors materials used for metal amalgam fillings today, they still continue to be a matter of debate due to the possibility of mercury content. Older metal amalgam fillings may be replaced because they have become worn or broken or if decay has occurred underneath the filling. 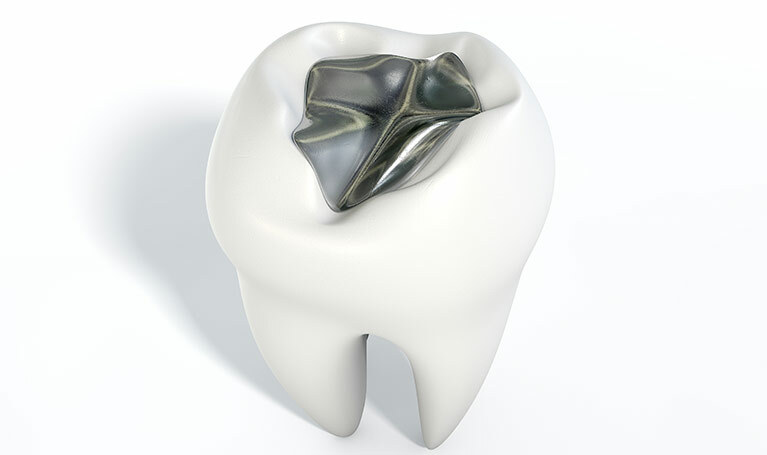 Many dentists still use metal amalgam fillings, in large part because they are less costly than tooth-colored restorations and are also extremely durable, particularly for the teeth that absorb the strongest bite force while chewing. There is no reason to replace a metal amalgam filling for purely aesthetic reasons, unless their appearance is of unusual concern to the patient. Removal of an intact amalgam filling results in loss of healthy tooth structure and has the potential to release more mercury than leaving them in the mouth. Schedule a visit with Devin Giron, DDS now!